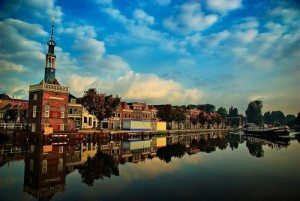 Alkmaar it was granted city rights in 1254. The oldest part of lies on an ancient sand bank that afforded some protection from the sea during medieval times. 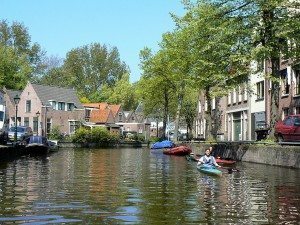 Even so, it is only a couple of metres above the surrounding region, which consists of some of the oldest polders in existence.